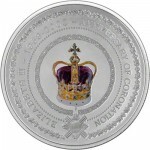 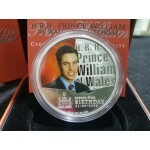 The 2003 HRH Price William of Wales 21st Birthday 1oz Silver Coin is Struck by the Australia..
2003 Australia Golden Jubilee Queen Elizabeth II Coronation 1oz Silver Proof Coin ..
2002 Australia Golden Jubilee Queen Elizabeth II Accession 1oz Silver Proof Coin .. 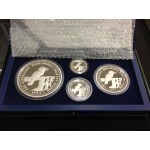 This magnificent 2001 Australian Centenary of Federation Holy Dollar and Dump Coin is struck in 9.. 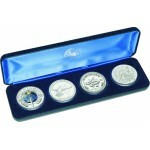 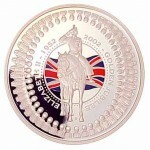 The 2001 Australian 4-Coin Silver Millennium Set consists of 4 x 1oz 99.9% silver coins, three of.. 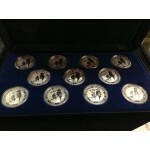 THIS MAGNIFICENT 1999 AUSTRALIAN 11 - COIN SILVER SET - EUROPEAN CURRENCIES PRIVY MARK SERIES is .. 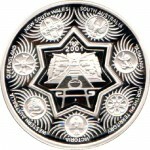 The 1997 AUSTRALIAN 4-COIN SILVER KOOKABURRA COLLECTION is minted by the Australian Perth Mint. 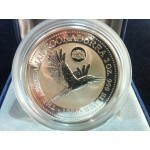 &..
1996 Australian 2oz Silver Kookaburra Privy Mark Coin - Den Haag Struck in 99.9% Fine Si..